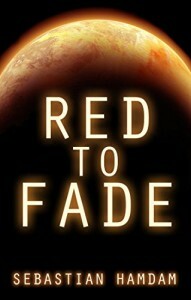 *Red to Fade (Deal, Not Free) by Sebastian Hamdam. Price: $2.51. Genre: Science Fiction Deal, Sponsor, LitRPG. Rated: 4.1 stars on 8 Reviews. 139 pages. ASIN: B00XPTLV4W. *Gun Princess Royale: Awakening the Princess, Book One by Albert Ruckholdt. Price: Free. Genre: Science Fiction, Sponsor. Rated: 4.7 stars on 12 Reviews. 375 pages. ASIN: B06XFMJY7C. *Blood Vector: We Never Understood The Warning (Deal, Not Free) by Robert Kiesling. Price: $0.99. Genre: Science Fiction Deal, Sponsor, Alien Invasion, Highs and Lows. Rated: 5 stars on 6 Reviews. 210 pages. ASIN: B0743MW2DX. *(Free for Kindle Unlimited) The Legion Awakes (The Sleeping Legion Book 1) (Deal, Not Free) by JR Handley. Price: $2.99. Genre: Science Fiction Deal, Sponsor, Colonization, Space Opera. Rated: 4.2 stars on 48 Reviews. 274 pages. ASIN: B01N6IB0GH. ***(Free for Kindle Unlimited) Battlefield Earth: Post-Apocalyptic Sci-Fi and New York Times Bestseller (Deal, Not Free) by L. Ron Hubbard. Price: $7.99. Genre: Science Fiction Deal, Sponsor, NY Times Bestselling Author of 19 Books, Post-Apocalyptic Science Fiction. Rated: 4.9 stars on 999 Reviews. 999 pages. ASIN: B01B41I4NI. NY Times Bestselling Author L. Ron Hubbard. *(Free for Kindle Unlimited) The Last City of America (Deal, Not Free) by Matthew Tysz. Price: $7.99. Genre: Dystopian Science Fiction Deal, Sponsor, Post-Apocalyptic, Survival. Rated: 4 stars on 12 Reviews. 647 pages. ASIN: B00C51300Y. *The Curious Tale of Gabrielle (Curiosity Book 1) by Zachary Chopchinski. Price: Free. Genre: Time Travel Science Fiction, Sponsor. Rated: 4.3 stars on 37 Reviews. 268 pages. ASIN: B01BJ5FS06. *Hegira (Deal, Not Free) by Jim Cronin. Price: $0.99. Genre: Time Travel Science Fiction Deal, Sponsor. Rated: 4.6 stars on 25 Reviews. 292 pages. ASIN: B010E3EKC6. *Recusant (The Brin Archives Book 2) (Deal, Not Free) by Jim Cronin. Price: $0.99. Genre: Time Travel Science Fiction Deal, Sponsor. Rated: 4.5 stars on 12 Reviews. 322 pages. ASIN: B01KTVTMNK. ISBN: 1625264259. *Steampunk is Dead: (Book Two) (Sci-Fi LitRPG Series) (The Feedback Loop 2) by Harmon Cooper. Price: Free. Genre: Steampunk Science Fiction, Metaphysical & Visionary Science Fiction, TV, Movie, Video Game Adaptations Science Fiction. Rated: 4.7 stars on 45 Reviews. 341 pages. ASIN: B010WKCI9S. *(Free for Kindle Unlimited) The Legion Awakes (The Sleeping Legion Book 1) (Deal, Not Free) by JR Handley. Price: $2.99. Genre: Science Fiction Deal, Sponsor, Military Science Fiction, Space Marine. Rated: 4.2 stars on 48 Reviews. 274 pages. ASIN: B01N6IB0GH. *(Free for Kindle Unlimited) Mimadamos: The Eden of Choice (Deal, Not Free) by Chadi B. Ghaith. Price: $8.88. Genre: Epic Deal, Sponsor, Science Fiction. Rated: 4 stars on 7 Reviews. 332 pages. ASIN: B073SFYFQQ. *A Drop of Blue: Rifters: Book One (Deal, Not Free) by Isa Briarwood. Price: $0.99. Genre: Dystopian Science Fiction Deal, Sponsor. Rated: 5 stars on 13 Reviews. 215 pages. ASIN: B074TB83BN. ISBN: 1973888793. *(Free for Kindle Unlimited) Sorority of the Ninth Fold (Deal, Not Free) by Peter Hackiewicz. Price: $2.99. Genre: Science Fiction Deal, Sponsor. Rated: 5 stars on 1 Reviews. 162 pages. ASIN: B07583T1GG. Epoch (the Future Templar Book 1) by Chris Lowry. Price: Free. Genre: Science Fiction, Space Marine, Post-Apocalyptic. Rated: 4 stars on 4 Reviews. 327 pages. ASIN: B007X8M5R8.